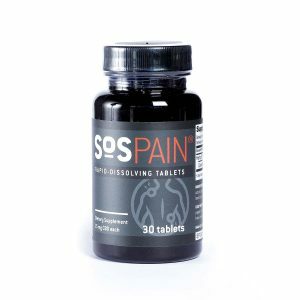 CBD Oil Review rates SoS Pain with two stars because it qualifies for the Mission & Innovation Badges. While a trip through SOS Pain’s website gives the reader a few blips of hopefulness, overall the outlook is grim. While the claimed intention of helping those with pharmaceutical drug dependency is noble, there’s no avoiding the fact that all the talk of laboratory testing and source material is just that — talk. If consumers don’t know where products are from, and also don’t have a clue what is in them, there is little reason to purchase them — and a lot of risks. SOS-CBD is an extension of the Smoke Out Solutions brand founded by Colorado native Mike Bond. Mike successfully quit smoking cigarettes in 2010 with the use of e-cigarettes and decided to offer others the same chance at success with his own e-liquid company. Out of SOS, SOS-CBD was born. Located in Tucson, SOS-CBD is “adding value to people’s lives” by offering affordable CBD products. They firmly believe that everyone has the right to access high-quality, reasonably priced cannabidiol for inflammation, anxiety, general wellness, and more. SOS-CBD sources their CBD oil from GMO-free, pesticide-free hemp grown organically in Colorado. Like many vendors, SOS-CBD says their products are certified organic. A word to the wise — industrial hemp can be grown using organic methods, and companies can (and should) use certified organic products in their formulations. But we have only encountered ONE CBD manufacturer who has actually received the USDA-certified seal of approval, a feat requiring significant cost increase and stringent adherence to organic methods. The point is, unless you see that USDA seal, the product is not technically certified organic, no matter what the brand says. SOS-CBD makes zero mention of their extraction method, nor any type of third-party testing protocols, critical information we’d need to see to warrant the Safety Badge. The SOS-CBD product line is affordably priced, ranging from $26 to $105. It features a CBD hemp oil made with CBD isolate and cold pressed hemp seed oil (great carrier choice), infused with a powerful terpene blend. Water-soluble CBD is also available, perfect for mixing in juice or smoothies, and SOS-CBD claims this solution is more potent than their traditional CBD tincture. The CBD topicals contain anti-inflammatory, all-natural ingredients and zero chemical emulsifiers. The CBD Face & Body Orange Cream has a particularly nice blend of ylang ylang and sweet orange in the mix. They also make an arnica salve with CBD for arthritis, workout recovery, and sore muscles, available both with and without cayenne. Rounding things out are the full spectrum CBD softgels, pure CBD isolate crystals, and transdermal patches. CBD transdermal patches aren’t necessarily uncommon, but they’re not a product we see across the board. 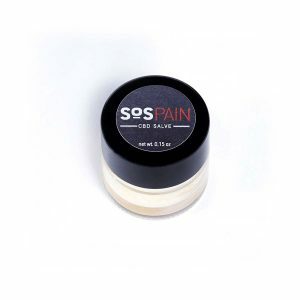 They’re known for their long-lasting delivery of CBD for pain relief, and SOS-CBD recommends placing their patches at the base of the spine or at the pain site. Bottom Line- SOS-CBD is lacking in the transparency department by not disclosing their extraction method. While their CBD products don’t appear to contain anything unsavory, we cannot deem them safe, considering SOS-CBD fails to even mention testing of their CBD oils or final products. Mission Verified – SOS-CBD believes in the right to affordable access to CBD and is on a mission to provide it to all for a healthier way of life. Quality Verified – SOS-CBD uses Colorado-sourced hemp that is free of GMOs and pesticides to procure their CBD oil, and their product line exclusively features all-natural ingredients.